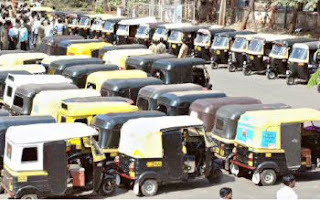 About 100 autos staged a dharna at the Deputy Commissioner’s office premises and also disrupted the traffic there. They presented a memorandum stating that they need more time for getting their meters repaired as there is only one technician. They demanded at least 3 months time and also a hike in tariff.